Edited by Mary Anne Redding. Photographs edited by Krista Elrick and Mary Anne Redding. Museum Of New Mexico Press, Santa Fe, 2009. 276 pp., 276 color and duotone illustrations, 9½x11½". From the 1850s to the present, photography has been an effective medium for exploring, documenting, and, at time promoting the great frontiers of civilization. Through the Lens provides a historical and contextual role in documenting and shaping Santa Fe's image. Both documentary and fine art photographers have worked here since the medium's invention, recording the U.S. territory after the Mexican and Spanish eras and serving to burnish its image as an art colony and destination for the country's first cultural tourists. Drawn to the region's unique architecture, its indigenous peoples, the peculiarities of a small-town international capital, and the magical quality of light and landscape, photographers have remained central among artists who arrived, passed through, and sometimes never left. Selected images drawn from public and private collections of more than one hundred noted photographers, including early masters William Henry Jackson, Ben Wittick, and John K. Hillers alongside the artists Ansel Adams, Edward Weston, Laura Gilpin, Paul Strand, Lee Friedlander, and Paul Caponigro, reproduced to the highest standards, will rank this book among the fine photography efforts of any measure. 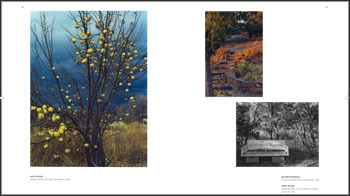 Noted writers Lucy Lippard, Rina Swentzell, David Grant Nobel, and more provide stimulating perspectives on this visual record of transformation in Santa Fe over the last 160 years, revealing shifting boundries, differing patterns of cultural behavior and changing perspectives, as well as natural, manmade, and symbolic locations. This landmark publication is companion to a major exhibition organized by Palace of the Governors Photo Archives in Santa Fe. 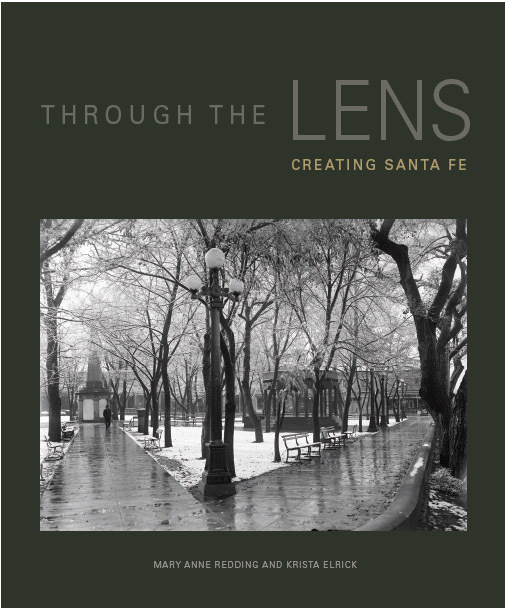 Through the Lens is for those interested in the history of photography, the allure of Santa Fe, and the Southwest.